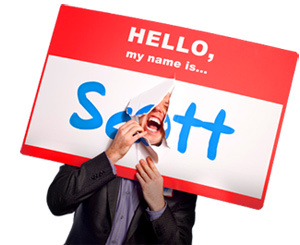 Action is Eloquence - HELLO, my name is Scott! Wow. Consider the sheer magnitude of those three words. 1. Having a great, positive attitude doesn’t do you any good if you don’t follow UP, and follow THROUGH with action. 3. People don’t give you credit for what they HEAR you SAY consistently. They only give you credit for what they SEE you DO consistently. 4. Luck isn’t accidental. You create it and attract it with your actions combined with your attitude. 5. Practice orthopraxy, not orthodoxy. It’s the difference between the correct ACTIONS and the correct BELIEFS. In short: practices, not principles. So, instead of practicing what you preach, preaching what you practice. 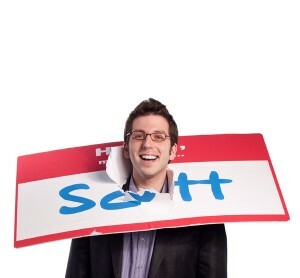 It’s more authentic, more believable, more persuasive, more approachable and more eloquent. 6. DO things first; don’t SAY things first. So, do something first, THEN tell people about it. THEN tell people what you learned. THEN encourage them to do the same. Lead with actions, not words.